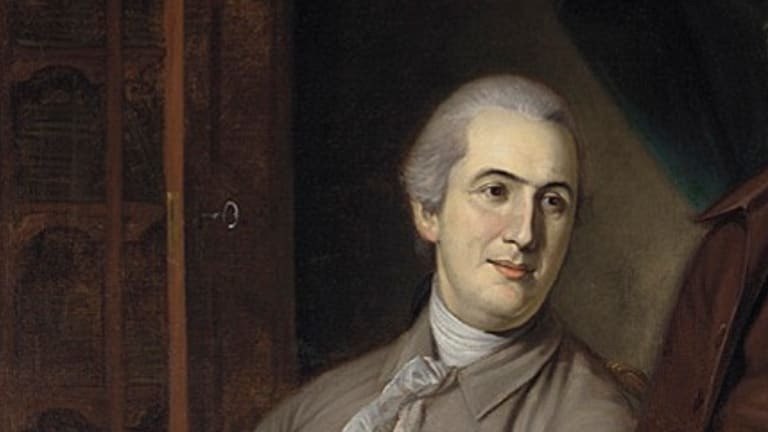 Gouverneur Morris (1752-1816) was an American politician, public official and diplomat. 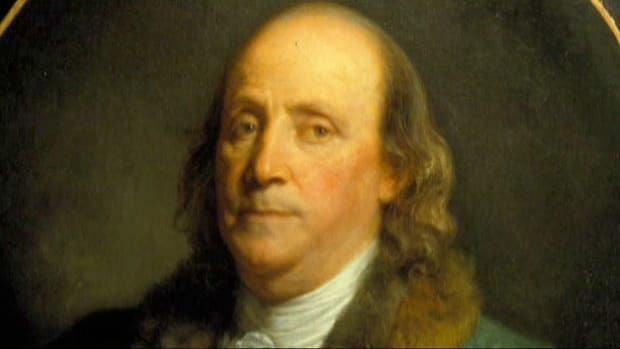 Born into a prominent New York family, he earned election to the state’s provincial congress, and signed the Articles of Confederation as a New York delegate to the Continental Congress. 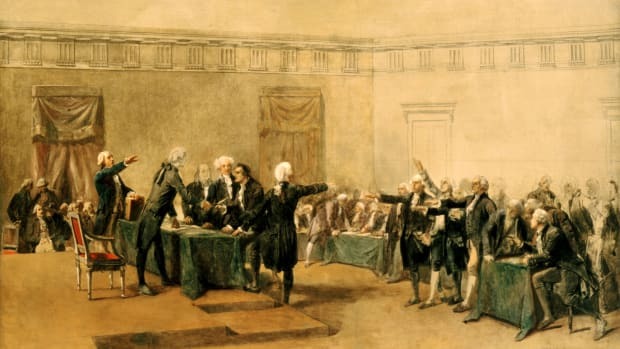 Among the most vocal participants of the 1787 Constitutional Convention, Morris argued for granting Congress veto powers over state laws, direct election of the president and proportional representation in Congress based on taxation. Morris served as American minister to France from 1792-94, and as a New York senator from 1800-03. He later helped form the New-York Historical Society and was the founding chairman of the Erie Canal Commission. Born into a New York family distinguished for its wealth, lineage, and political influence, Morris lost his leg in a carriage accident as a young man. 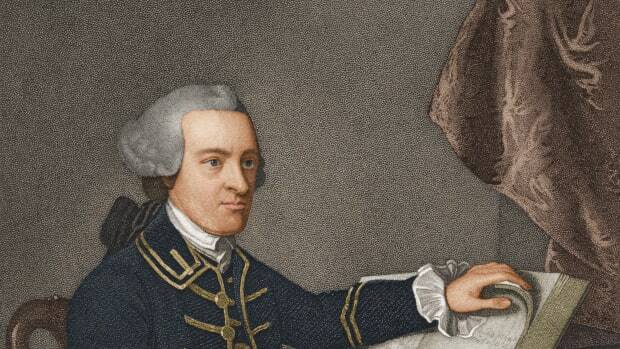 He graduated from King’s College (now Columbia University) and in 1771 was admitted to the bar. 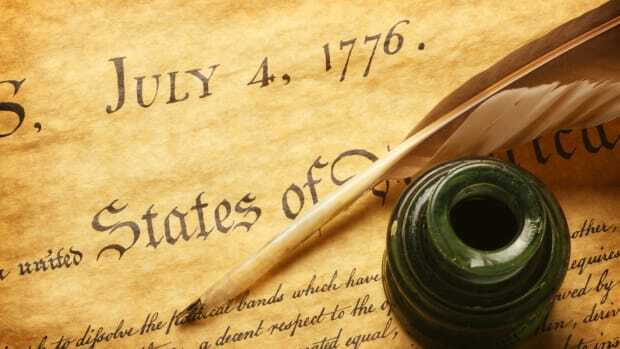 In 1775, he was elected to New York’s provincial congress and in 1776 served on committees that drafted the state’s new constitution and that instructed New York’s delegates to the Second Continental Congress to support the Declaration of Independence. 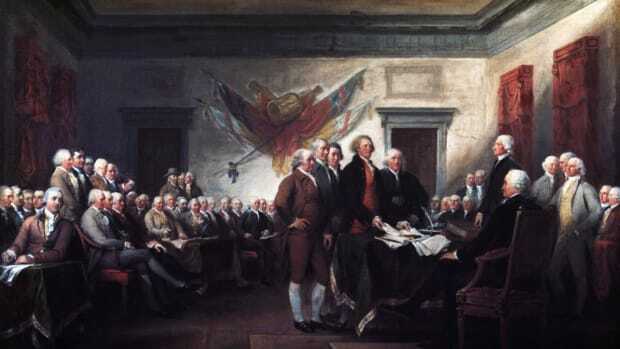 In 1778, as a New York delegate to the Continental Congress, he signed the Articles of Confederation. Two years later Morris became the Confederation’s assistant superintendent of finance under his political mentor, Robert Morris of Pennsylvania. In that post, he sought to expand the powers of the federal government and drafted a report to Congress recommending the first national currency-a decimal coinage based on the Spanish dollar. 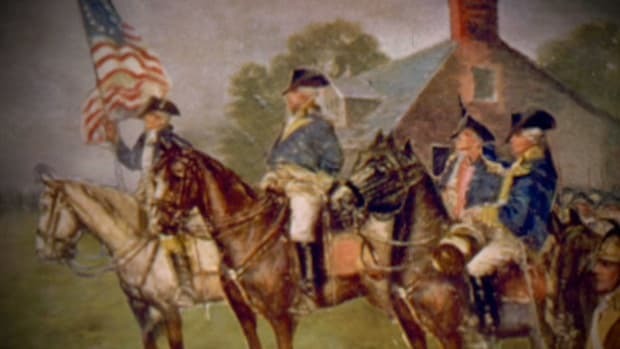 In 1787, Robert Morris engineered an appointment for his protÃ©gÃ© as a Pennsylvania delegate to the Federal Convention. Brilliant and irreverent, Gouverneur Morris spoke more often and at greater length than any other delegate. 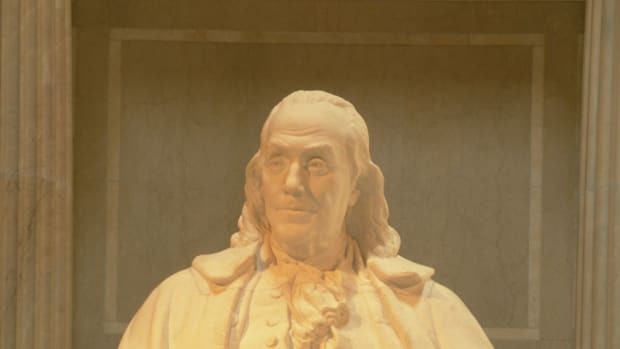 He supported the creation of a strong national government, favoring James Madison’s proposals to grant Congress a veto over state laws and to create a council of revision comprising members of the national executive, legislature, and judiciary. Morris urged that senators be chosen for life and that they meet sizable property qualifications-but he advocated this measure as much to control the wealthy elite as to protect their interests, on the theory that the isolation of the elite in the Senate would make it easier to guard against their efforts to advance their own interests at the expense of the general good. He championed the direct election of the president and proportional representation for the states in Congress based on taxation. He opposed constitutional protection for slavery or the slave trade and disliked the Constitution’s provision permitting new states to be admitted to the Union on an equal footing with the original thirteen. As a member of the convention’s Committee on Style and Arrangement, he prepared the final draft of the Constitution. 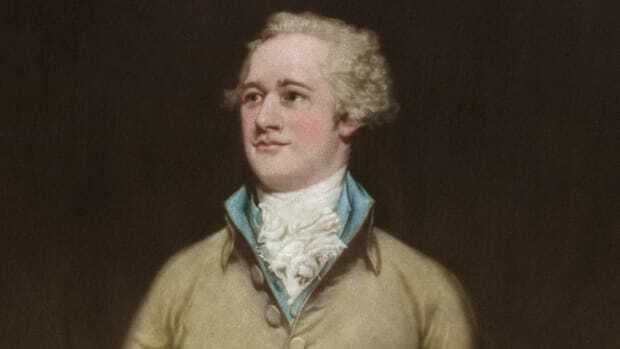 Morris declined his friend Alexander Hamilton’s invitation to contribute to The Federalist and played no role in the ratification of the Constitution. 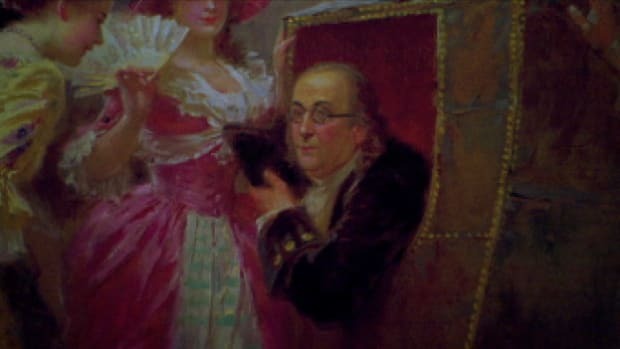 After travel in Europe on private business and a brief mission to Great Britain in 1790, Morris was named American minister to France (1792-1794). In that post he was critical of the French Revolution; his Diary, published in the 1880s, is a notable eyewitness account of the Terror. 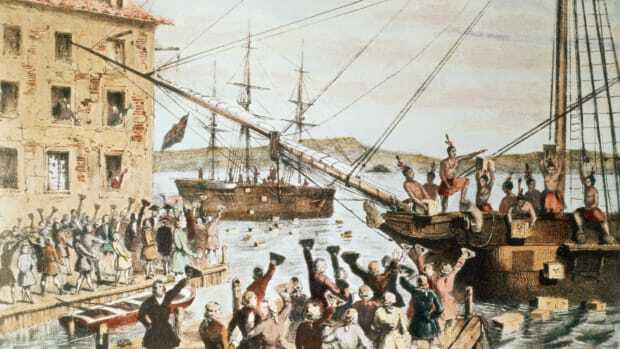 In 1794, after the United States demanded the recall of the French ambassador, Edmond Genet, the French in retaliation demanded Morris’s recall. Genet had shown his contempt for the Washington administration by trying to foment American support for France in its wars with the rest of Europe, despite Washington’s announced policy of neutrality. For his part, Morris had attempted a daring but impractical scheme to rescue Louis XVI and his family from the revolutionary authorities. In 1800, Morris was elected a senator from New York, serving until 1803. In 1804, he helped found the New-York Historical Society and delivered the eulogy for Hamilton at Trinity Church. He was also the founding chairman of the Erie Canal Commission (1810-1816). In opposing the War of 1812, he went so far as to urge that New York and the New England states secede from the Union. When he died, his passing was regretted even by his political adversaries.